Jermain Defoe exchanged some genuine light hearted banter with a Celtic fan outside Tesco this morning. The veteran striker moved from Bournemouth to Ibrox last month, after a training stint in Tenerife he has had to adjust to the biting chill of winter in Glasgow. Despite tales of the ferocious Glasgow rivalry there was no sign of any abuse as the Celtic fans driving his car exchanged a few comments with the highest paid player in Scottish football. 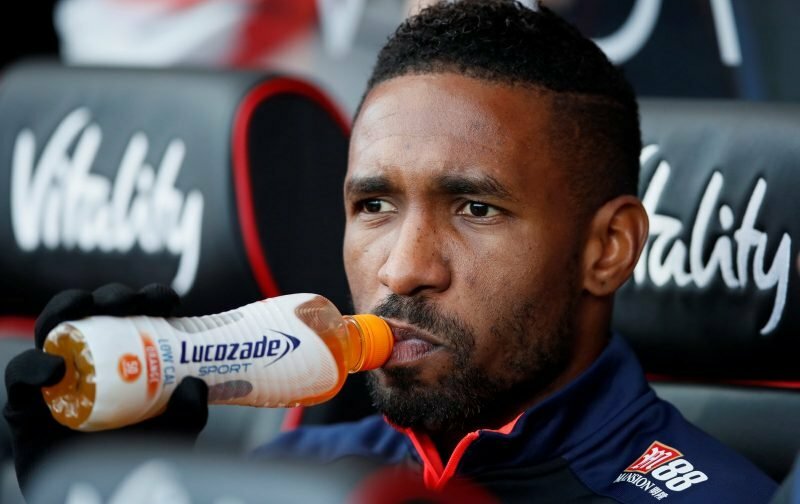 After Sunderland were relegated at the end of the 2016/17 season Defoe had offers from almost half of the clubs in the English Premier League. Bournemouth came up with a lucrative three year contract but quickly it became apparent that his scoring days were virtually over with just four EPL goals scored last season. No English clubs were prepared to match the offer from Ibrox last month with the 36-year-old deciding to move north to link up with his former England team-mate, Steven Gerrard who shares the same agent.